I thoroughly enjoyed taking sunset and cloud pictures this summer. God has blessed me with some amazing shots. 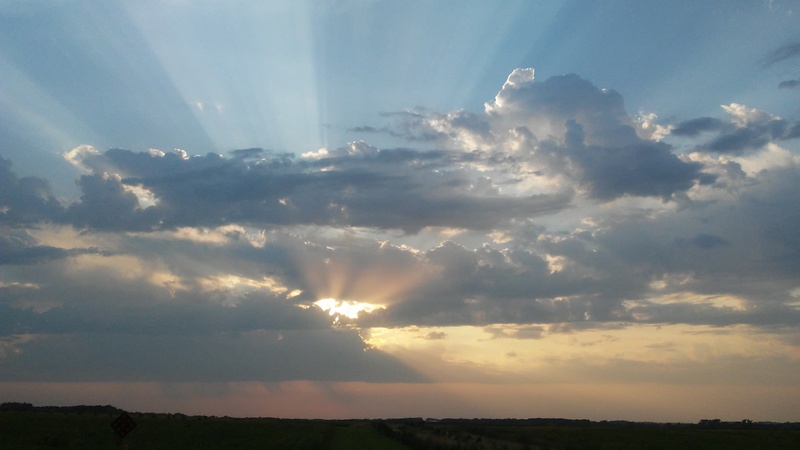 My favorite evening was this one – the sun rays were fabulous. Clouds and sunsets show the beauty and creativeness of God. He is a phenomenal artist and He wants to share it with us! God is so good.